"I've been seeing the doctors here for 5 years now and delivered 2 babes with them." "Quick appointments, awesome staff and a professional environment." "Love going here. They take very good care of my family." "Entire staff at FWC is amazing, kind and helpful. They delivered all 3 of my boys." "Thank you guys for such great service!" "Best doctor ever. She genuinely cares about my problems and takes the time to listen." "Very friendly and loved how she was with my son in her office." "If it wasn't for Dr. Doty I may not have been blessed enough to be here still!" "Dr. Doty takes time to explain everything, checks all options and has helped me out." "She has been my doctor for over 9 years. I've always felt like I was in good hands." "Dr. Perkins is kind, gentle, and caring. She answers questions clearly." 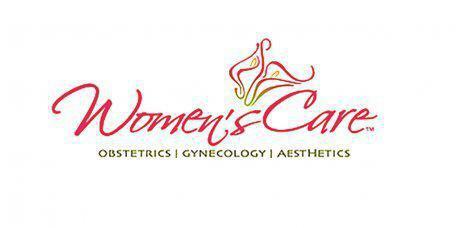 At Findlay Women’s Care, Dr. Carmen Doty-Armstrong, Dr. Dawn Hochstettler, Dr. Kimberlee Perkins, and the team of Certified Nurse-Midwives provide a wide range of women’s health services, including obstetric care, vaginal rejuvenation, birth control, pelvic pain and treatment for all gynecological conditions. Patients in Findlay, Ohio, can count on receiving high-quality, compassionate care from an all-female staff of board-certified OB/GYNs, Certified Nurse Midwives, Nurse Practitioners, and Physician Assistants. Whether patients need guidance in choosing birth control or assistance in exploring their options for infertility, the Providers at Findlay Women’s Care can help. Patients receive care in a state-of-the-art facility that has all the necessary equipment for providing exceptional gynecological and obstetrical care. Those who are pregnant can get the care they need throughout their pregnancy and depend on having a caring, skilled, and an experienced OB/GYN or Certified Nurse Midwives help them deliver their baby. The medical providers at Findlay Women’s Care take pride in providing women with the care and support they need for gynecological problems, such as endometriosis and uterine fibroids, and pregnancy issues, including birth control, infertility, and high-risk pregnancies. As part of their treatment regimen, many cancer patients undergo radiation therapy. In order to ensure the radiation is delivered with accuracy and precision, the patient is first marked with small surgical tattoos. The marks are a necessary means to an end. However, for some, these tattoos are a reminder of the trauma of their cancer. At Findlay MedSpa, we use our PicoSure laser to safely remove these tattoos at no charge. We are providers for most of northwest Ohio's major health insurance plans. If you have medical insurance, we are anxious to help you receive your maximum allowable benefits. Prior to your first visit, please contact your insurance company to verify that our practice is an accepted provider in your plan. Once you have confirmed your insurance plan's acceptance, we will be happy to process your insurance claims for you. Please bring 1) a copy of your current insurance card 2) Photo ID that matches the last name as the name on your insurance card. If you do not see your insurance provider please contact our office. "I could not say enough good things about Findlay Women's Care! They were amazing when I had my son." "I absolutely love this place. All staff is very respectful and the doctors are as well." "I had an awesome experience with the whole staff! Everyone was super nice and when it came time to deliver my baby they were all in for everything on my birth plan!" "All the staff at Findlay Women's Care are awesome! I delivered my baby at 33 weeks and Brittany did awesome!!" "I've been a patient of Dr. Doty's for almost 10 years. She is caring, patient and truly cares about me." "She always takes the time to answer my questions and is very friendly. Her staff is lovely." "Dr. Doty delivered my first child and my second baby was delivered by one of the midwives. We had a wonderful experience with both deliveries." "Such a nice doctor. Really seems to care about her patients."